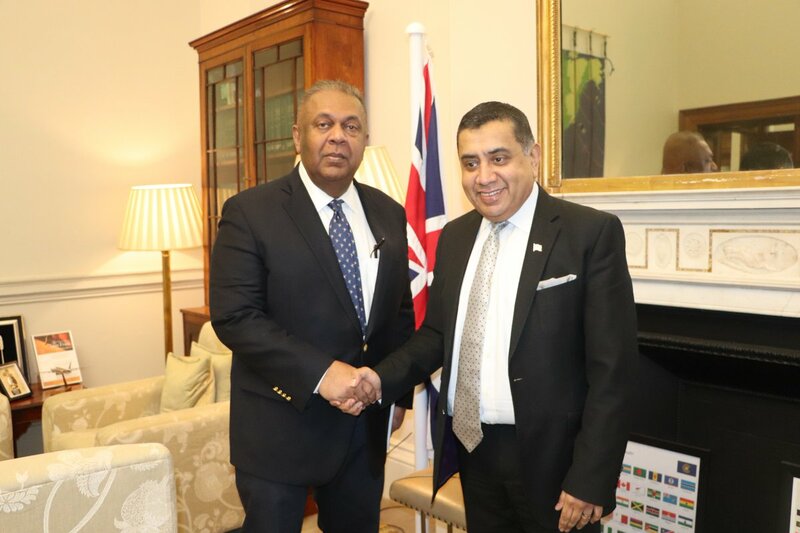 Sri Lanka’s Minister of Finance & Media Mangala Samaraweera met with Lord Tariq Ahmad, the UK Minister of State for the UN and Commonwealth, and the Prime Minister’s Envoy on Preventing Sexual Violence, in Westminster on Monday. Discussions reportedly were on the topic of “[Human Rights] & Reconciliation and other matters of mutual interest,” according to Samaraweera, who tweeted a photograph of the meeting. Sri Lanka co-sponsored a resolution that mandated an accountability mechanism with international judges to prosecute those found to have been involved in war crimes. However, no action has been taken so far to set up such a mechanism.